Indonesia’s Taufik Hidayat reaffirmed his status today as the country’s top men’s singles shuttler and, vitally, also as its unreluctant idol when he took out Sony Dwi Kuncoro in the final of the National Badminton Championships. 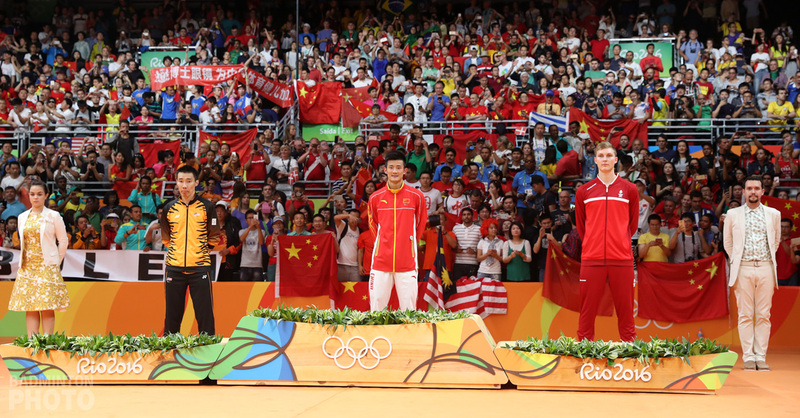 Their respective world rankings of #6 and #7 suggested a tight match and in the end, only 5 points overall separated the victor from second best. Sony may have won more points but Taufik secured the decider. The score was 21-19, 9-21, 21-16. Taufik had more to prove than the casual observer could have fathomed. 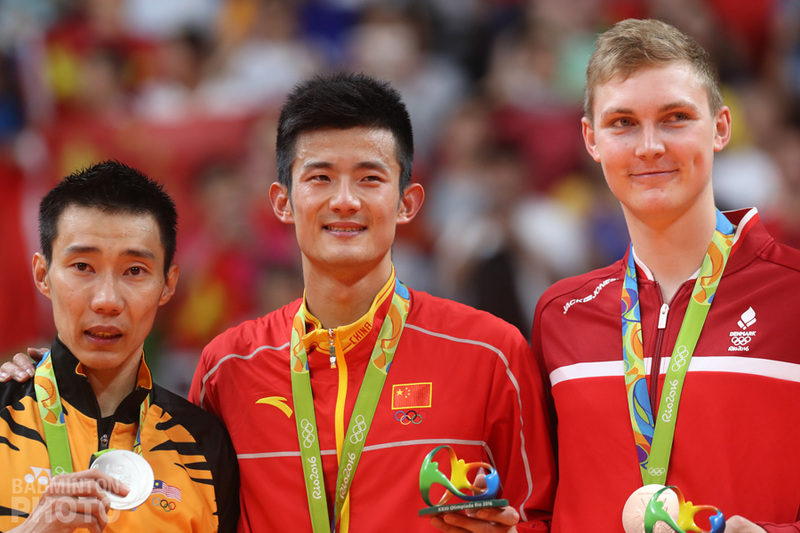 He erased the taste of his September loss to Sony in the final of the Chinese Taipei Grand Prix. And in a rivalry that is exactly 5 years old this weekend, their head-to-head results now stand at 3:2, still in favour of Sony but, importantly, it was prevented from being 4:1. "Sony played really well today but I’m more experienced. I know I’m old but I can still fight against the younger players," Taufik was quoted by the Jakarta Post as saying. Taufik’s comment gave nothing away, as usual, and possibly makes fools of believers. Neither man has enjoyed a higher international ranking in a couple of years. Reversing the tables on the idea that rankings and level of fame are a means of predicting who will win, men’s doubles world #9 pairing of Luluk Hadiyanto/Alvent Yulianto Chandra beat this year’s World Champions and world #3 Markis Kido/Hendra Setiawan to the tune of 21-18, 17-21, 21-19. In mixed doubles, it was a comfortable straight-game win for World Champions Nova Widianto/Liliyana Natsir over Vietnam Open champions Tantowi Ahmad/Yulianti 21-16, 21-10. 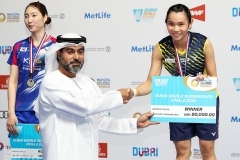 The women’s singles was a closer affair where Aprilia Yuswandari beat Fransiska Ratnasari 21-19, 21-19. If statistics are all that matter, there is little to pick and choose between Taufik and Sony, or in mixed doubles with 2 pairs in the world top 4, or men’s doubles as today proves. 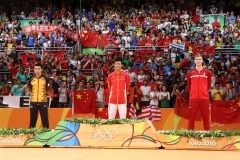 Nevertheless, at this time the Indonesian Badminton Association (PBSI) admitted to a crisis over the wide gap in skills between their current international representation and their next generation of players. No doubt not far from the minds of the national sporting administrators would have been Indonesia’s placing at the KLRC World Junior Championships a fortnight ago. 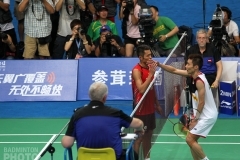 Indonesia were runners-up in the team event and their best in the individual events was the semifinals of mixed doubles. Indonesia can still rely on their singles, men’s doubles, and mixed doubles. But how much longer? This is the question they are asking themselves. Having seen the golden age of their women’s singles and Uber Cup success come and go, this should serve as a premonition. Whether or not he recognises the depth of it, Taufik continues to handle the responsibility of national hero when it counts and with idiosyncratic coolness. The Japanese national championships were also held this weekend. (According to Kyodo news) Sho Sasaki, ranked 18 spots lower, stopped world #15 Shoji Sato from taking a fifth consecutive title in the men’s singles final, which Sho won 19-21, 21-15, 21-14. 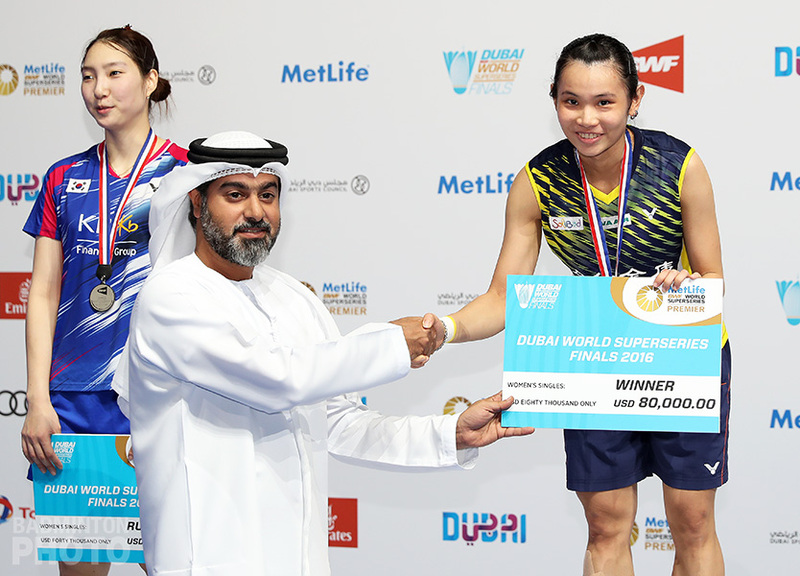 In women’s doubles, Kumiko Ogura/Reiko Shiota beat Satoko Suetsuna/Miyuki Maeda 21-17, 17-21, 21-9 thus equalling Sato’s record by making it their fourth title in a row at this tournament.